It’s 3 a.m., and you’re still awake. Bedbugs are the least of your worries; the TV’s off, the lights are off, but your brain isn’t. What did that client mean when he said…? Do your managers really understand your mission? How can you boost profits? 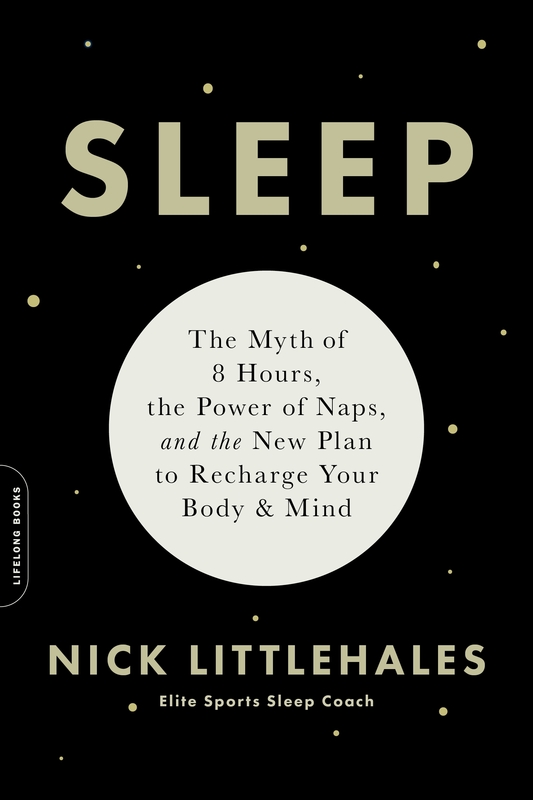 And without the new book, “Sleep” by Nick Littlehales, how can you finally get some shut-eye? So, you missed a few zzz’s last night. No big deal, you’ll make it up, right? Wrong, sleep coach Nick Littlehales says. Lost sleep is lost forever, and research now indicates that poor sleep habits can lead to Type 2 diabetes, obesity, burn-out and family issues. Ugh. Part of the problem, some say, is with cell phones and “blue light,” which affects us, biologically. Littlehales avers that light from electronic devices can disrupt sleep and it’s true that we’re sleeping less than our forebears did sixty years ago, but blue light isn’t entirely to blame. Instead, we’re losing sleep because we’re more stressed and focused on hours, rather than cycles. In the past, we referred to people as “larks” and “owls,” depending on their natural wake-sleep patterns, but Littlehales says your chronotype is what matters today. Whether you’re an “AMer” or a “PMer” depends on your personal 24-hour body clock. AMers, for instance, get their deepest sleep between 2 and 3 a.m., while PMers run a few hours behind. Knowing your chronotype will help you get your best sleep by determining when to start your bedtime slow-down process and when you should rise. And by the way, that up-shower-brush-donut-out-the-door routine isn’t good for you. First, you may scoff at the idea of a “sleep coach,” but author (and sleep coach) Nick Littlehales has spent much of his life on mattresses, in sales and sports. What he espouses for elite athletes he works with, he says, can extend to the enhancement of performance in business – which is good news, but there are things missing here. Littlehales advises parents and comforts sleep-till-noon teens. He offers do-able changes and make-sense fixes, but he does not adequately touch upon issues related to aging. Older readers might, therefore, feel left out; those who are over business books with sports focus should also take note.